in which I think about books, information issues, and possibly even document some adventures. I really loved breakfast when we were China. The thing about Chinese breakfast foods is that, well, they really don’t exist. 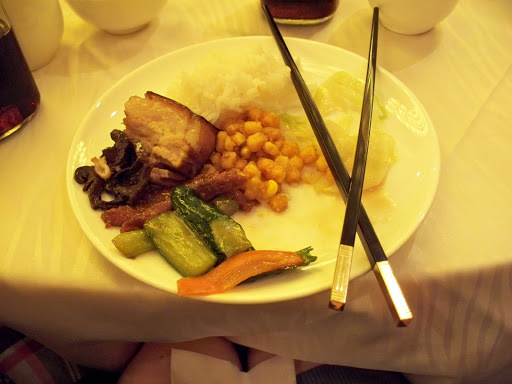 The Chinese eat roughly the same types of things for breakfast that they would at any other time of day. I think this breakfast was the 2nd day of our tour, in Beijing, and I remember sitting down to eat and just being so pleased with the world in general, it was really quite good. There’s nothing like mixing bacon with spring rolls, grilled tomatoes, fried rice, and dumplings. 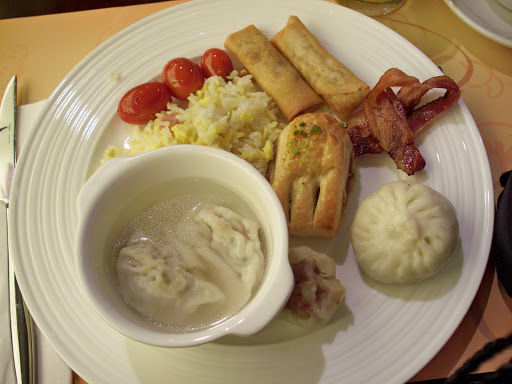 Our breakfasts were always buffet style, and they were always a mix of Western, Chinese, and Japanese foods (I suppose because of the large number of Japanese tourists in the hotels). I could never quite figure out what that pastry was, but it was delicious. But my favorite, by far, was dumplings. I could (and probably did) eat dumplings at every meal. I mean, you can put anything inside them, so it’s really an all-purpose food. This entry was posted in Uncategorized on August 16, 2009 by michelejames. brought to you by: China! I’m awfully tired this evening, I really just wanted to throw my upcoming blog changes out there. 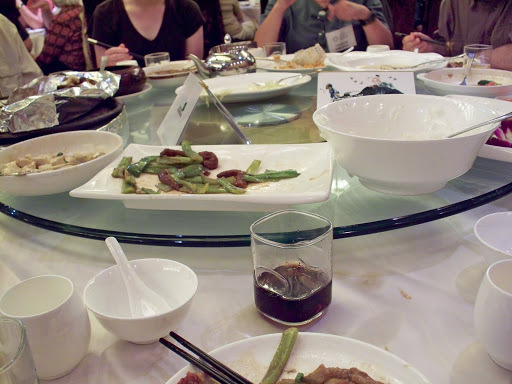 I have more China food to discuss as well as some things I actually cooked! So long for now. This entry was posted in Uncategorized on August 10, 2009 by michelejames. HLS Day in the Life – Friday!